Juicy, sweet red cherries are so delightful! We are in the middle of cherry season and I hope you’re enjoying this mouth-watering treat as much as I am. Cherries are full of health benefits, too. Cherries are a favorite fruit of mine and I am happy to eat them just as they are. 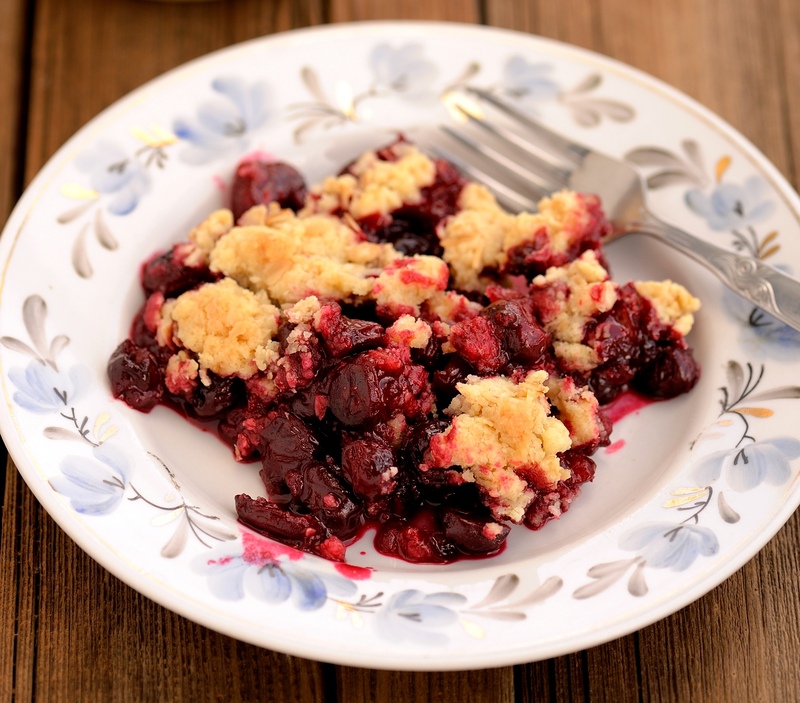 For extra fun, let’s make some delicious vegan and gluten free cherry recipes. This highly nutritious recipe is easy to make and so delicious! Combine chia seeds, sweetener and almond milk in a bowl and mix well. Leave on counter for an hour, and stir occasionally. Then cover and chill in the fridge for 4 to 8 hours. Put chia seed mixture in a blender with chopped banana, blend until smooth. Put chia pudding into 3 dessert bowls. Coarsely blend 1/2 cup of cherries with a 1/4 cup of water, mix in the rest of the cherries making a cherry sauce. 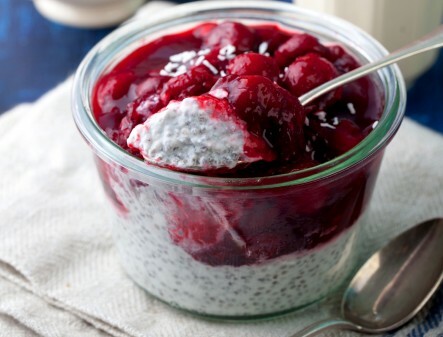 Now pour the cherry sauce on top of the chia seed pudding. If there are any leftovers, store in an airtight container in the fridge for up to 5 days. 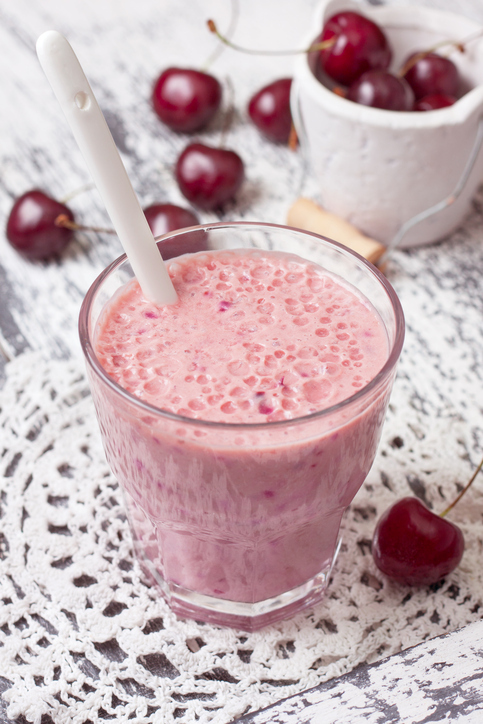 Perfect for a summer day, this sweet, simple vegan smoothie is delicious and can be a tasty dessert. Add all ingredients into a blender and blend on high for 1 minute until smooth and creamy, then enjoy. 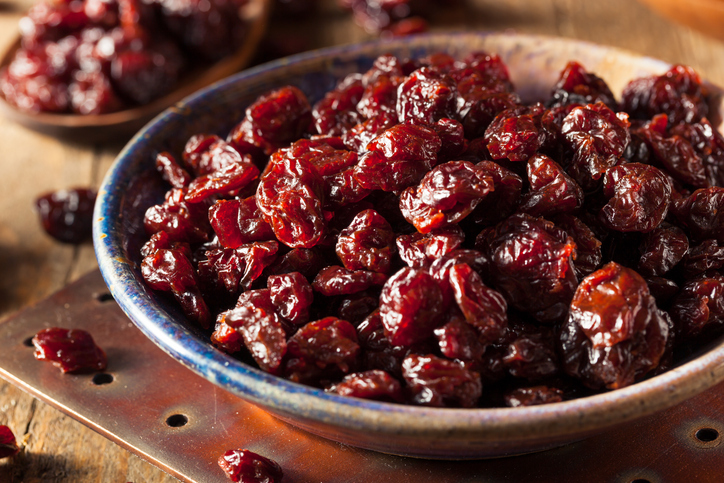 I love my dried cherries for baking, especially for the December holidays. What I found most surprising after the first time dehydrating them is that the cherries had shrunk to the size of raisins and there was only about 10 percent of the volume of what I put in the dryer! Select cherries that are fully ripe and not blemished. Remove stems from cherries and wash them in cool water. Pit the cherries—this is best done with a cherry pitter, then cut in half (or do what I do and cut them in half and take the pit out). *It is best to have small pieces as they will dry faster but it is important that all pieces are uniform in size so they’ll dry at the same time. Dry the cherries by patting them with a clean tea towel. Place the cherries, cut side up on dehydrator sheets or baking sheets. Put the dehydrator at 135 degrees Fahrenheit, dehydrate cherries until they are leathery. This will be between 12-24 hours. If you are using the oven to dehydrate the cherries, put the oven one bake as low as it will go. Some ovens will let you go to 165 degrees Fahrenheit, others no lower than 200 degrees Fahrenheit. Again dehydrate them till they are leathery which will be about 3-8 hours. *You can leave the pit in but you will need to prick them all over to facilitate the drying process and they will take longer to dehydrate. Note: The cherries will turn a deep purple and it is best to leave them a bit chewy and not too dry. Just make sure they are dehydrated enough to keep for a few months in an air-tight container. 2. Mix oil, stevia and rice syrup and add to dry ingredients. 4. Sprinkle on top of fruit and press down. 5. Bake at 350 degrees Fahrenheit for approximately 40 minutes. 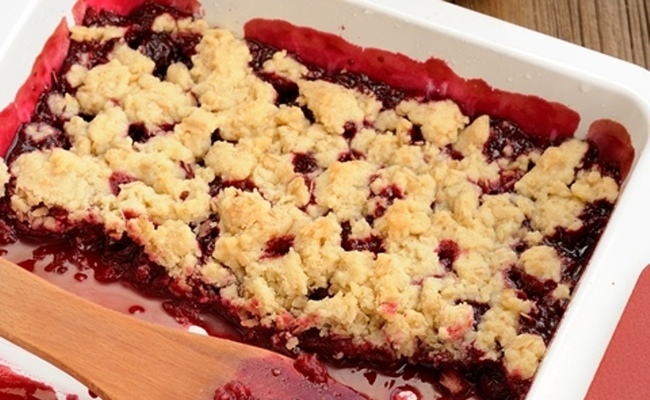 This cherry pudding is so easy to make and is great for a hot summer day. 1. Blend the banana in a blender. 2. Add 1/2 cup cherries, cashews and vanilla, blend until creamy. 3. Put in the refrigerator for 20 to 40 minutes to thicken. 4. 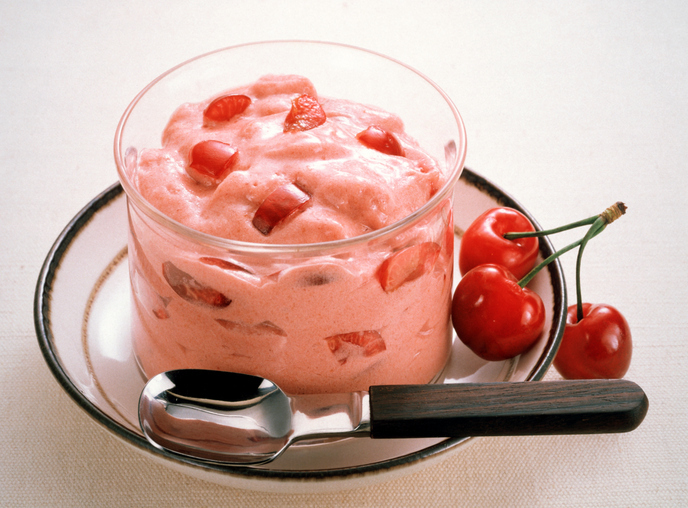 Now simply mix the sliced cherries into the pudding or you can make it beautiful by assembling it in a glass bowl. 6. Put a 1/3 of the vanilla pudding in the bottom of the bowl. Then add 1/2 of the cherries, and then put another 1/3 of pudding on top. Add the rest of the cherries and top it off with the rest of the vanilla pudding. 7. You can sprinkle some raw cashews on top for garnish. Now eat and enjoy!